“MK, do you know how to keep poor people poor? Have you come to the place where you begin to question everything? Is our help actually helping? We have. Once we realized that people are best served when given opportunities to develop their skills and capacity and to earn a living by the work of their own hands, we changed course. Benson's question that day was startling and enlightening. He operates the journal and leather business that is so much a part of 2nd Story Goods. He embodies the words he speaks. 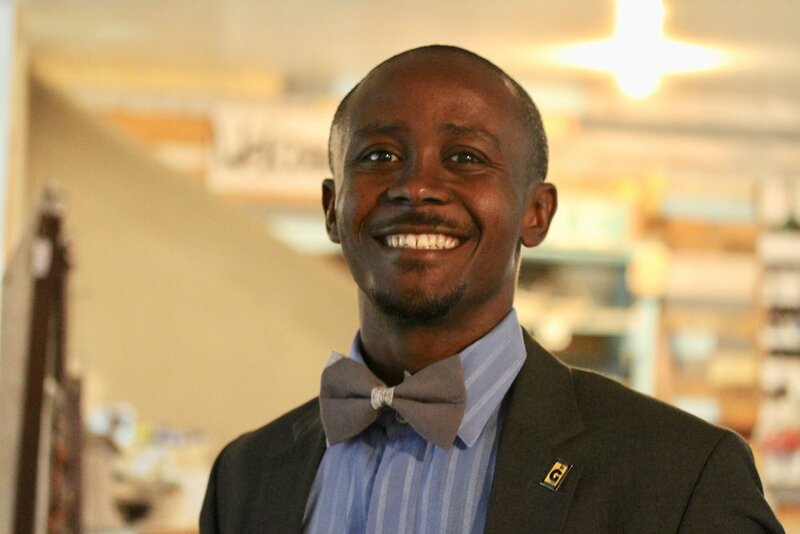 He is a leader entreprenuer in the city, not a man begging for his family. He employs over 15 people now. He is changing his community. MUCH is a “faith based non-profit” While this is a classification used in Georgia law to designate a category of non-profit corporations, it has a far deeper reality. What we do is rooted in our belief that every human being is created by God, in His image and is invited by Him to participate in making our world more to His intent. We are completely dependant on God for the passion, insight and strategy for our assignment. We believe that it is His pleasure to accomplish His dreams through us. It is our privilege to participate. 2nd Story Goods and Market Place Gonaives and Prolead are what our assignment looks like. We believe that Jesus is irresistible when seen clearly. Our joy is to participate with Him in bringing His kingdom to this part of the world. Praying for His will to be done on earth as it is in Heaven, is not a religious duty, but rather the cry of our hearts to see His Kingdom come, for earth to better resemble Heaven. This reality compels us to resist the injustice in systemic poverty, do good business, walk in integrity and remain humble before God. Pray for us, pray for each other, and let's work together to see it happen. Gonaïves is the 3rd largest city in Haiti, with a population of over 350,000. It is the capital of the Artibonite Department, the country’s main agro-growing area. 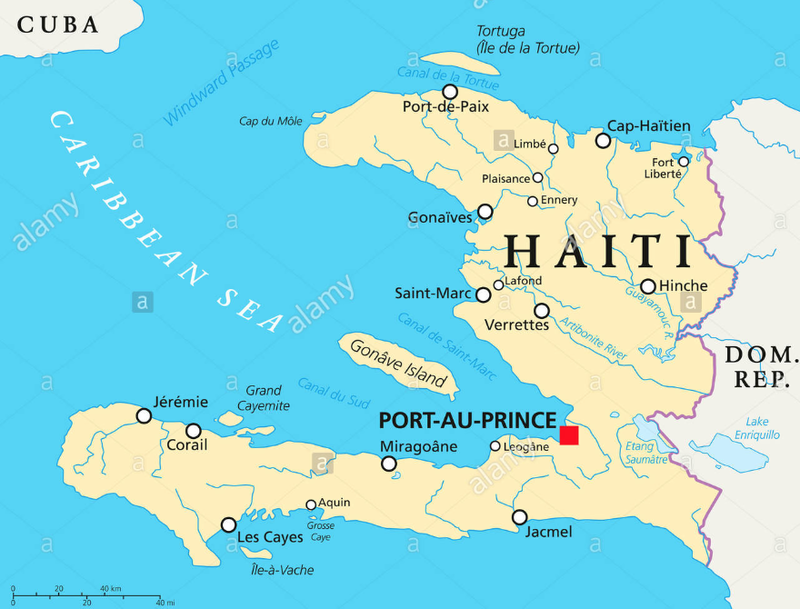 It is known as Haïti’s “Independence City” because of an important battle of the Haitian Revolution. Gonaives is also known as Haiti’s City of Independence because it was here that Jean-Jacques Dessalines declared Haiti independent from France on January 1, 1804 by reading the Act of Independence on the Place d’Armes in Gonaives. In September 2004, Hurricane Jeanne caused major flooding and mudslides in the city. Four years later in 2008, the city was again devastated by another storm, Hurricane Hanna, which killed 529 people, mostly in flooded sections of Gonaïves, where the destruction was described as “catastrophic”. Today Gonaïves is rebuilding. Development of businesses, schools, roads, and a new hospital signal change. There are signs of restoration throughout the city. Vision and grace is demonstrated to invest and believe in the future of this great City of Freedom -- we are humbled and thankful to be a part of the renaissance of this City!